Online social networks such as Friendster, MySpace, or the Facebook have experienced exponential growth in membership in recent years. These networks offer attractive means for interaction and communication, but also raise privacy and security concerns. In this study we survey a representative sample of the members of the Facebook (a social network for colleges and high schools) at a US academic institution, and compare the survey data to information retrieved from the network itself. We look for underlying demographic or behavioral differences between the communities of the network’s members and non-members; we analyze the impact of privacy concerns on members’ behavior; we compare members’ stated attitudes with actual behavior; and we document the changes in behavior subsequent to privacy-related information exposure. We find that an individual’s privacy concerns are only a weak predictor of his membership to the network. Also privacy concerned individuals join the network and reveal great amounts of personal information. 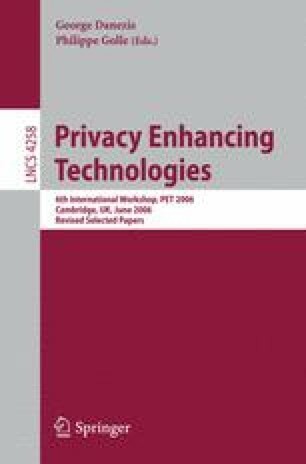 Some manage their privacy concerns by trusting their ability to control the information they provide and the external access to it. However, we also find evidence of members’ misconceptions about the online community’s actual size and composition, and about the visibility of members’ profiles.